Our initial intention was to photograph ourselves wearing these new sun­glasses. But it turns out we’re bigger experts in contact lenses than in modelling so we asked the most qualified person to do it instead. Our model in Prague was Michal Gajdošech, ow­ner of one of the world's finest bodies. As well as the 4th most beautiful man on the planet! He received both titles in December in Poland at the Mister Supranational competition. We’ve never had anyone this successful at Maternia before, so that’s why we decided to ask Michal a few questions, in the breaks between photoshoots. You are definitely not a novice in front of the camera. How long have you been modelling and how did you get into it? When I was sixteen I had a girlfriend who was modelling and she always wanted to do a photo shoot with me. I refused for a long time, but in the end I gave in. When I was 19 I moved to Prague, thinking that a stu­dent job would come in handy. I figured I could use those pictures, so I sent them out to several agencies. And that’s how it all started. Can you see yourself modelling in the future? It’s always been just a hobby for me, but one that I was really successful in. I can definitely see myself doing it in the future, it’s a nice break from everyday life and my business activities. On a free day, I get up at around 8.30, have breakfast and go to the gym at 10. Then I have lunch, feeling positive that I have done something good for myself. I work after lunch: go through the emails, job offers, castings, but each day is different. When I have some spare time, I go to the park to do some cycling or inline skating. I go to the cinema with friends, or we go out for some good food. I also like music festivals. And of course, I exercise and go to a wellness centre. 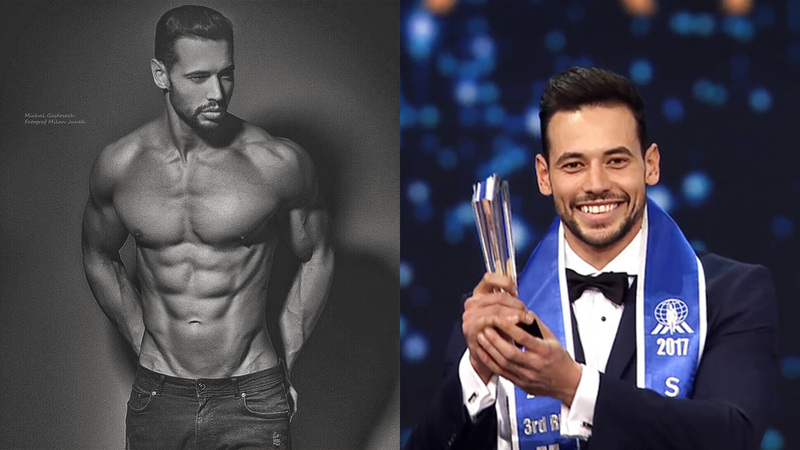 Has your life changed after winning the title of the man with the best body in the world? Absolutely. I’ve been getting more offers, as more people in the business know about me. It's been a positive change. During your photo shoot, you mentioned you wear contact lenses. Which ones do you prefer? I like daily ones, they’re so easy to take care of. I can’t imagine wearing lenses repeatedly with the intensity of my training (I go to the gym every day). I guess everyone would like to have your body. Can you share your secret on how to achieve it? It’s more about persistence than secret formulas. And I pay a lot of attention to what I eat. Thank you for the interview and good luck!